you know your business can grow more…..
POINT ONE >> When you give, you get. This applies to knowledge, time, help, etc etc. The person / business / brand that gives MORE, usually GETS more. I used to think that this was some American waffle but I’ve been seeing it with my own 2 eyes…. Examples are professional service businesses that I help out – when they ramp UP their knowledge sharing, they get more business. Happens every single time. Lesson – don’t be afraid to put yourself out there, give away knowledge and expertise, show people that you are the expert in your field. People will remember you and come your way when the time is right. Pro tip – get people onto your email list. POINT TWO >> Facebook is hard work. You can’t put up personal stuff, or poorly thought out stuff, you have to put out content that is highly relevant to your exact, ideal, customer. Period. Pro tip – in 2018 you won’t get anywhere with Facebook unless you pay for ads and content boosts. Do you really want to pay to boost a post that’s not relevant to your business? POINT THREE >> Here in New Zealand, at this point in time, it’s all Facebook, Instagram (for product based businesses mostly), and EMAIL. Don’t waste your time right now on other channels. Pro Tip – when all else fails, build your email list. It’s worth it. Just trust me. POINT FOUR >> The OFFER is where the action is. How clear and how appealing, is your offer, to your perfect customer? If you get that NAILED, you are a shot at getting the customer. POINT FIVE >> Here in New Zealand, we are generally terrible at SALES. We need to have clarity around our offer, how to get it, and then we have to ask for the sale via a conversation, and follow people up. Free Tip – ask a 12 year old to navigate around your website and after a short time ask them what’s for sale, who is it for, and how do I get it? POINT SEVEN >> Content marketing, or inbound marketing, if done well can be a constant flow of new business, and it’s still an area that companies could explore far more deeply. (I personally LOVE this stuff – if you want help with building a content creation package, get in touch). Blogs, quality articles, Facebook Live Q and A’s, reports, ebooks are all things that you should consider doing. 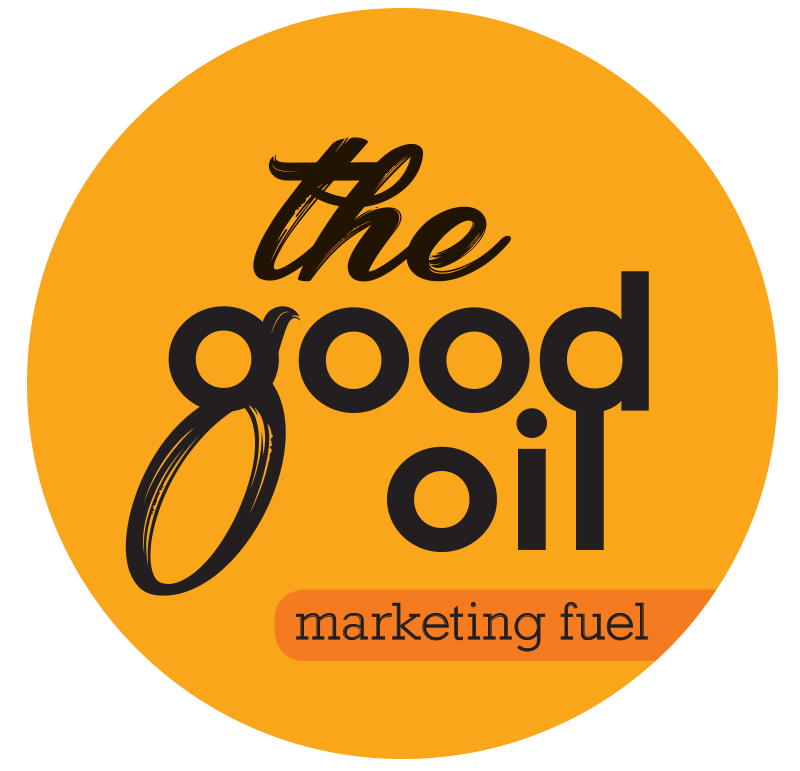 The Good Oil (that’s us) works on creating content calendars so that you know what’s needing to be produced, when, and who by, to keep putting you guys out there as the Go To people in your industry. POINT EIGHT >> People are spending money on Facebook Ads and Google Ads, which is great because the return on investment can be amazing BUT they are falling over at the “what’s next” step ie what happens once they click on your ad? You got the person to your website, now what do you want them to do next? POINT NINE >> Marketing is a smart plan PLUS consistency. It’s not a quick win. I’ve got a lot of respect for people who get this, build the plan, and then understand that it’s going to be some months before they get traction. Unless they’ve invented the iPhone or something life changing of course…..
POINT TEN >> Companies grow via REFERRALS in New Zealand quite effectively, but still don’t have actual materials and STUFF for clients to use or hand out or a referral program as such. Huge untapped area. (want help with this? Contact Corey Hinde from the Good Oil NOW). I come across business after business that thinks that referrals is their go to, but all I see is money being left on the table. Want help?? Get in touch….. This year I’ve learned from real clients, who have paid me real money, and I’ve seen the good, the bad, and the outright ugly. I’ve even upset a few people along the way because frankly, I was too honest and people don’t like to hear the truth sometimes…. For as low as a few hundred bucks per month, I can have your business dominating your industry with social media and content marketing that simply rips leads away from your competition, and delivers them straight to your door. ps – I just finished this book, Tribe of Mentors, by Tim Ferriss, and I have to say it was well worth the read. Lots of common threads in there to help people get ahead, you should grab it and have a look….